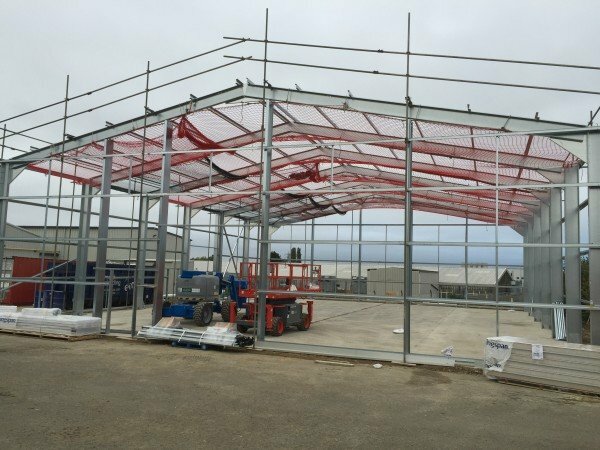 Steel Portal frame buildings are commonly used in the construction of pitched buildings. The typical height is normally 4 – 8 meters to eaves. 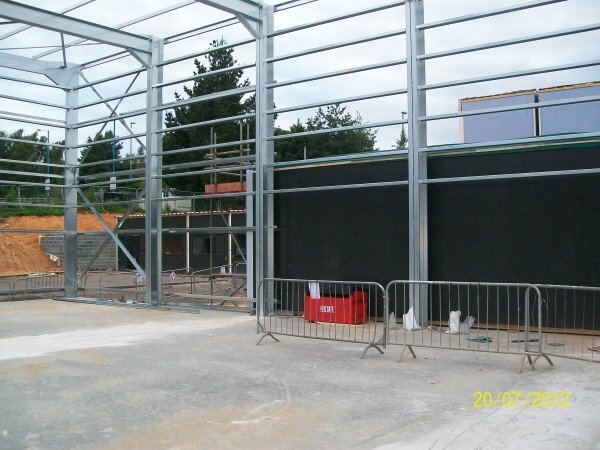 Although the Steel Portal can achieve greater heights, making the solution a popular one for some of the largest Industrial Building constructed in the UK. These structures in recent times are named super sheds. They are used for distribution centres, needing high and wide spaces to operate their businesses. Or the manufacture of large products, such as aircraft. The Steel Portal frame is generally constructed with 2 side columns and a rafter. The columns are connected to the rafters with a Haunch/Eaves connections. The Steel Portal Frame will be individually designed for the specific project. Taking into account the spans, heights and site specific location for wind and other loads. 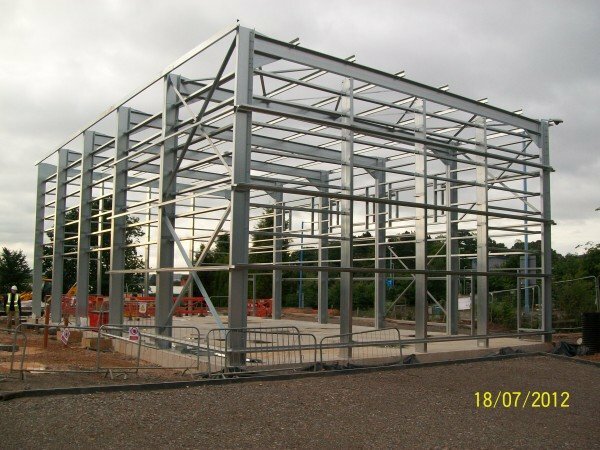 An excepted design standard for Steel Industrial Buildings is BS5950 and BS6399. To complete the Steel framed Building, the main portals would have secondary steelwork running from Steel Portal to Steel Portal. This secondary steelwork, is normally Cold Rolled Steel Sections. Roll formed into Zed or Cee profiles and are pre Galvanized. This steelwork is then used to fix the outer building envelope. Which is generally a Metal Profiled Cladding. 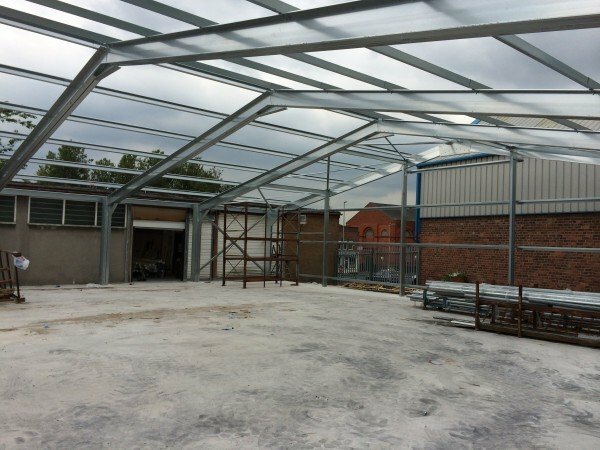 At Steel Buildings we use Cold Rolled Sections and Laser Cut brackets bolted together to form our Steel Portal Frame. Cold Rolled Steel is a very economical and efficient material, when designing portal framed buildings up to 20 meters wide and 6 meters to eaves. Please contact a member of Steel Buildings sales team, if you need further information.